Goodness gracious, 2018 has been one heck of a year for Chrome OS. Over the course of the past 12 months, Google's oft-overlooked "other" platform has evolved and expanded to the point where it's almost unrecognizable from its 2017 form. Chromebooks today boast a totally reimagined user interface, with more Android-like elements than ever and a strong focus on touch-friendly gestures and design. The software's current incarnation has a true tablet home screen, a phone-like floating virtual keyboard, and system-level integration of Google Assistant (in the midst of rolling out broadly right now). Beyond that, 2018 has given us the first slate-only Chrome OS tablets, the first of a new generation of always-connected Chromebooks, and the launch of a whole new category of desktop-caliber Chromebook-compatible apps. And the fast-paced progress shows no sign of slowing down soon. The best part? Whether you're a new Chromebook convert or a Chrome OS vet, the ecosystem's ongoing evolution means there's always something new to learn and consider. So behold: some of 2018's most useful and thought-provoking Chromebook tidbits. Catch up while you can and make sure you're making the most of your work and/or personal technology. The mother lode — my sprawling new collection of time-saving Chromebook tricks and techniques. No exaggeration: You will learn something new from this list, and it will change the way you use Chrome OS. Some recently added hidden gems that make Chrome OS more versatile and powerful. They're there and waiting, but it's up to you to find 'em. Reclaim wasted time and watch your efficiency soar with this spectacularly useful cross-platform add-on that's especially well-suited to the Chrome OS environment. Linux apps can expand your Chromebook's capabilities and open up all sorts of interesting options — but it isn't exactly obvious how to get started. This easy-to-follow guide will have you up and running in no time. Speaking of Linux app support, that addition to Chrome OS may sound like a big heaping bowl of irrelevant geek stew, but don't be fooled: It's an enormously significant move for the platform. As the lines continue to blur between Chrome OS and Android, some once-crazy-sounding concepts are now shaking up mobile computing as we know it. A big-picture view of some of the shape-shifting changes we've seen this year and how Google is using them to position its platforms for the future. Related: When it comes to Google's platforms, a short jaunt through history can provide a powerful reality check on the future. The slow but steady march of Chrome OS into the tablet domain could have much bigger implications than we see on the surface. How the arrival of LTE-enabled Chromebooks — which just started late this year and is likely to continue into 2019 — could really, truly change the way we think about mobile productivity. Apple's latest platform-converging move sure seems familiar, but the company's approach and ultimate goal — something we're bound to hear about plenty in the coming year — is actually quite different from Google's. A valuable refresher on the nature of Chrome OS upgrades and what most folks don't realize about the way they work. Whether you're using Google Home or one of the newer Assistant-connected Smart Displays — or even, ahem, a Chromebook with Google Assistant enabled — having a virtual assistant in your office can be a real asset. 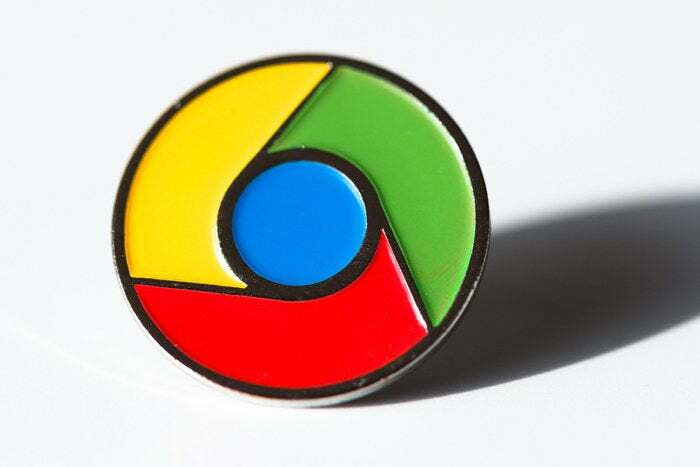 And with that, we've reached the end of our 2018 Chrome OS coverage. What a ride it's been, eh? Don't unbuckle yet, though: If there's one surefire prediction for 2019, it's that we'll have plenty more to discuss here in the ever-overlapping areas of Chrome OS and Android. Enjoy the brief bout of quiet — 'cause it won't stay that way for long.